For those without comedic tastes, the "questionable parody" of this website called Wikipedia have an article about Kabul. The Central Park of Kabul. Kabul (Squiggly: کابل, IPA: [kə'bʊl]) is the capital of Afghanistan. 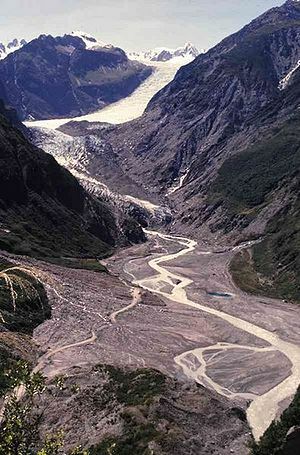 It is located at the center of the Safed Koh hills, along the Swat River. It has houses. It has ruins and craters too. More houses though, since Kabul aside from native Afghans also consists of important things such as embassies and international TV Network teams capable of monitoring everything that is done to the city. The city consists of a few blocks of chalk white 3-floor buildings around the Chicken Street near the Royal Palace. This area is called the center of Kabul and is most often under the control of some marionette regime puppet called Raja, Shah or President depending of the origin of the occupying forces. The rest of the city consists of a bunch of miserable sheds and craters controlled by various warlords called inhabitants. You can stay at Hotel Kabul. No this is not a proposal. It is a request! All for your best though. You will not be shot there, not mugged, kidnapped and sold to the Chinese Mafia or sodomized while sleeping. Well, we can't guarantee the last one, not if you aren't sleeping on your back. Otherwise, if you aren't too particular you can sleep practically anywhere. Just buy yourself a tarpaulin and cover up the nearest personal mine crater and you'll be just fine. Better than most Afghanis anyway. The Airport The US Air base. Kabul Zoo is the cities main tourist attraction. Void from any animal life the visitors can undisturbed go around and see famous places where several Recipes on Endangered Species were tried out during the Sovjet occupation and Taliban resistance against the US Liberation Army. Afghanistan is world leading producer of non cocaine drugs, jewellery made of lapiz lazuli and varius skin products such as shoes, bags and belts that will fall apart as soon as you try them on. This bad quality is probably caused by a cheap word confusion, since european tourists for years have tried to convience the local salesmen that they want goods of real sheep. 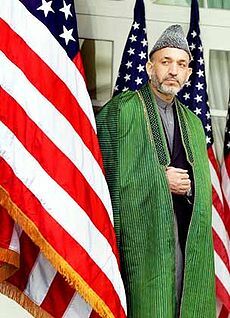 Besides homesale the residents of Kabul is extremely fond of catwalks showing the latest design of sheep arses, the local name for the kind of funny hats you will always see on the head of premier minister Hamid Karzai. A good place for a fat Freddie is the Central Bank in Kabul. The Afghan National Bank queue system focuses on the customers well being and the clerks there will provide them what substances needed to help them keep their cool. Time management is in fact very efficient. An ordinary exchange takes normally no more than a pair of sips, and you want get a chance to Bogart even if you ask for odd currencies such as Canadian dollars or Yen. A cash withdrawal will take a little longer, especially if you want to cash Travellers cheques. In this case a short take off to the hotel while you work your way down the stick of Afghan black might be worth while, but the couches in the bank office lounge are cosy enough and you'll be invited to stay there as long as your sterlings doesn't bounce. The field of entertaiment is rapidly chainging cause of the last years political events. Gone are the much loved stoning festivals where infidel wifes and short beared men got theirs. New are the cinemas where you many times can see decent Bollywood dancing flicks. Just be careful when you go to the toilet, since the audience often fire at the screen in pure apprehension. Othervise the best entertainment in Kabul is that one you came for. So just relax, sit down, light your pipe and take a deep breath when you to do that thing that Bill Clinton didn't.